Their fresh forest wreaths are available in many different styles and sizes. 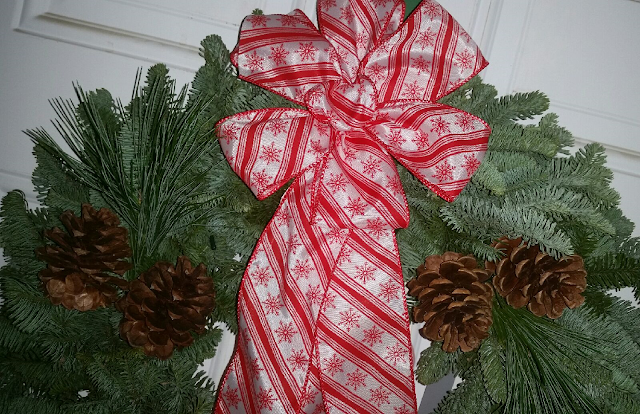 You can choose between a 20″ or 25″ wreath. You’ll also find that with each live fresh wreath comes attached with special accents such as pinecones, juniper berries, holly, bells and other festive accents. "Christmas Forest is a place where magic happens every day, and the sights and scents of the holidays are alive year-round. From our very first handmade Christmas wreath sold back in 1976 at Pike Place Farmer’s Market until now, we have made it our mission to bring the very essence of Christmas into every wreath that we create." Christmas Forest Wreaths are ideal for your own home, as a gift for that special someone, or as a corporate gift. All of their exquisite Christmas wreaths and holiday swags are handmade with love and only the freshest evergreens, juniper berries and incense cedar. Their beautiful, handmade wreaths range in price from $40 - $55 and includes FREE SHIPPING within the Continental US via UPS Ground. This year, capture the very essence of the holiday season with an amazing Christmas wreath from Christmas Forest. 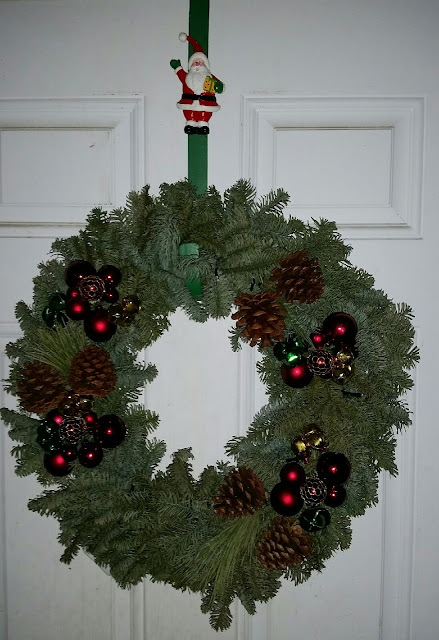 Disclaimer: The Being Frugal and Making it Work family received a complimentary Christmas Forest Wreath for the purpose of writing a review and hosting a giveaway. Regardless, I only recommend products or services I would use personally and/or believe will be a good fit for my readers. The views and opinions expressed on this blog are based purely by our own experiences. No monetary compensation was received. Results may vary. I love the 20" Jazz-a-Tazz Christmas Wreath. The blue balls and the silver bow look great together. I LOVE just the classic Christmas wreath!! So beautiful and simply "holiday" !! They're all pretty, but the Rustic Gold is my favorite...the gold bow, the pinecones, it's perfect. 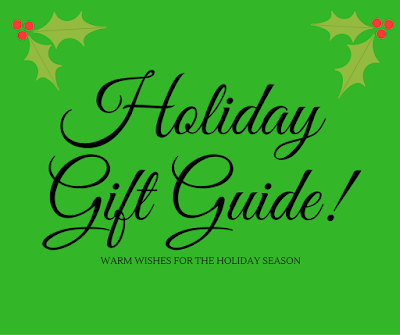 The polka dot wreath and the jingle bell wreath are my favorites! Merry Christmas to you and yours! I like the 20" Crimson Delight Wreath. It would go perfectly on the front door. I like 20" Crimson Delight Wreath. I love the gold backed ribbon and the pretty bells. My favorite wreath is the Candy Cane Christmas wreath. It would look fantastic on my front door. The Jingle bell wreath is my favorite. There are so many nice ones there it is hard to choose just one though. They're very pretty - I like the 25" Northwoods Christmas Wreath the best. Thanks for the chance!! I like the 20" Art Deco Wreath - The chevron ribbon is super fun! I love the 20" Pink Lady Wreath for the cure wreath. I love the colors and the extras that are added to it! I like the Polka Dot Frenzy Wreath. It would look great on my front door, it is so festive. I love the 20" Pink Lady Wreath for the cure this is my favorite, I love butterflies! Besides the one you are giving away, I love the 20" Christmas Dazzler Christmas Wreath because the red ornaments look so good with the red bow. I have a lot of red bow decorations and this wreath would match perfectly. They have so many pretty wreaths. I think the 20" Camo Christmas Wreath would look great here since we live in the woods.